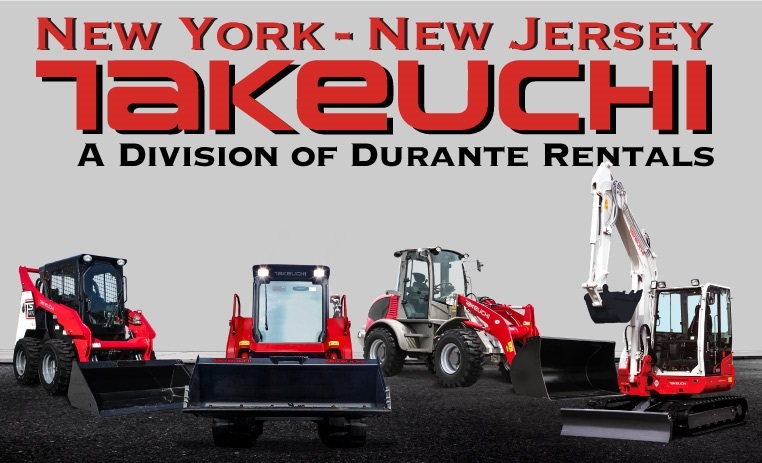 New Jersey- February 15th, 2018 – Durante Rentals has been selected as the new Takeuchi dealer for North New Jersey. The new territory will span eleven counties including Bergen, Essex, Hudson, Hunterdon, Middlesex, Morris, Passaic, Somerset, Sussex, Union, and Warren. Founded in 2009 by three entrepreneurs, Durante Rentals is the most dependable name in construction equipment and tool rentals in the New York Tri-State area. Construction professionals look to Durante for all their equipment needs including mini excavators, skid steers, light towers, generators, compressors, forklifts, air tools, boom lifts and more. Now with nine convenient locations and counting, their geographic footprint continues to expand while servicing all five boroughs of NYC, Westchester, Putnam and Rockland Counties, Connecticut and New Jersey. Durante Rentals is a five-time honoree on INC 5000’s list of Fastest Growing Privately Owned U.S. Companies. For more information about Durante Rentals, visit www.DuranteRentals.com. New York-New Jersey Takeuchi is your authorized dealer for the New York City, Westchester, Rockland, Putnam and Northern New Jersey areas. They specialize in sales, rentals, service and parts for the full Takeuchi fleet of machines including track loaders, wheel loaders, skid steers, and mini excavators. 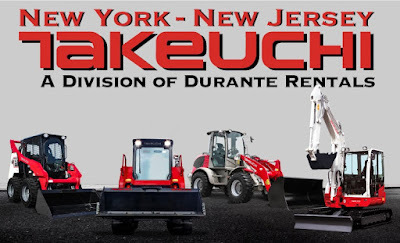 New York-New Jersey Takeuchi is a division of Durante Rentals. For more information about New York-New Jersey Takeuchi, visit www.NYTakeuchi.com.